Today is the 56th birthday of the Barbie doll and she doesn't look a minute older than 25. But the inspiration for the America's most famous fictional blond bombshell goes back to 1952. According to Robin Gerber, the author of Barbie and Ruth, it all began with a German comic-strip character named Lilli. A wise-cracking, high-end call girl, Lilli was such a popular staple for the Hamburg newspaper Bild-Zeitung that they made an adult novelty doll out of her. 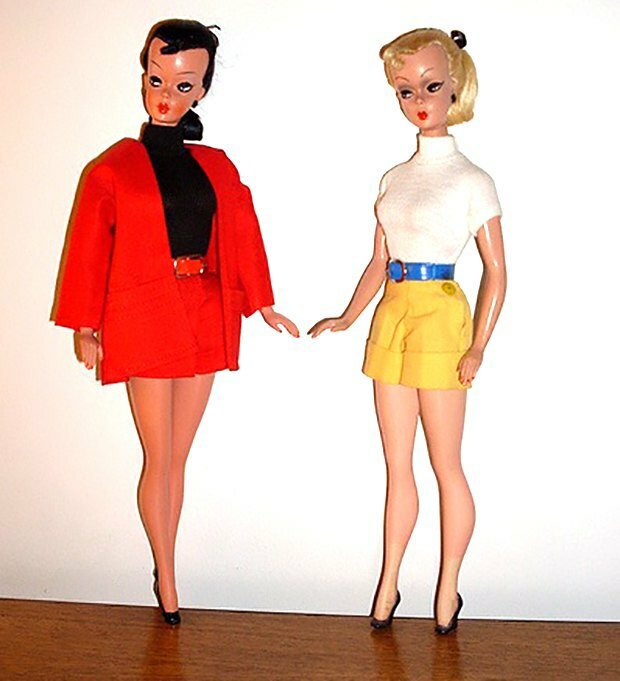 Ruth Handler, a co-founder of the Mattel toy company, was on vacation in Switzerland when her daughter, Barbara, saw a Lilli doll and fell in love. Handler decided to adapt the doll for American children and three years later, Barbie was born. As you can see, Lilli looked a lot like Barbie and the biggest difference lies in the eyebrows.